﻿﻿Applying to colleges is too stressful. Every year, top universities get more and more applications, and accept fewer and fewer students. You need to be a cut above the rest, and stand out! Our solution is all about YOU. We are NOT your typical prep company that throws you into a crowded classroom with one instructor – at YSI, our solution is to give you the most personal, individual and comprehensive experience when it comes to mastering the SAT and ACT. We are your roadmap to college, and our highly qualified and experienced instructors will help you through the SAT, ACT, College Application Process, Career Counseling, Resume Building, Essay Writing, Scholarship Searching, and everything else to get you to where you deserve to be! YSI believes that investing in our students now is the key to help them become highly educated individuals in the future. With an increase in competition, we understand that it is difficult to find test prep schools or academies that will go the extra mile for you. With our individualized consulting and priority of relationship building, it is our goal to make sure each client is 100% satisfied and that our students are on their way to a brighter future. 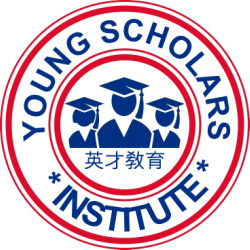 At Young Scholars, we strive to give you the absolute best rate with an abundant amount of resources and personal time with our instructors. Young Scholars Institute was featured as part of an inspiring stories exposé on Voyage LA magazine. Check it out here! Our SAT I & II, ACT, PSAT, and AP test preps are the most intensive courses designed for highly motivated students desiring to increase their chances in entering an Ivy League level school. Students will improve their test taking skills, gain confidence in the subject, and develop speed and accuracy during the real test. Get assistance with college and major selection, college application personal statements, letters of recommendation, and financial aid applications. Learn how to write unique, memorable, and powerful college application essays that will make you stand out, and get step-by-step guidance in completing your college application forms. YSI offers a unique program that takes the academic burden off parent’s shoulders. YSI encourages independence, good decision making and executive functioning skills. Parents and students get personalized portfolios that follow your child’s progress to help improve their academic skills.